In this article, Simon Fairey, Product Guru at legal technology innovators HyperLaw explains why their new generation, intelligent case preparation solution, HyperLaw was built for cloud deployment from the ground up and why HyperLaw chose Microsoft Azure as the deployment platform. What is HyperLaw All About? We think of HyperLaw as ‘intelligent case preparation’ for lawyers and other professionals. It seeks to solve the practical issues that lead to the printing of case files and time taken to prepare and review digital case files. In brief, HyperLaw creates an intelligent case file by ingesting source documents, indexing and organising by applying rules to identify chronologies, events, people and patterns. This process creates a fully searchable and orderly digital case file where individual documents exist in context (they can be moved around, hidden, renamed and classified into sections within the case file). Cutting-edge review tools allow the digital case file to be marked up, issues tagged and commentaries added. A HyperLaw case file can be shared and presented as a native case file or as a bundle. Cloud solutions allow resources to be expanded on demand and deployed as and when required. Cloud solutions can be accessed anywhere at any time and should deliver very high levels of availability. Cloud solutions facilitate collaboration and sharing with trusted partners and clients. Cloud solutions should benefit from class-leading security and immediate access to the latest product releases. Cloud deployment neatly supports a subscription model where the law firm or chambers pays only for the professionals who use the system – scaling as demand requires. To find out more, read Microsoft Azure’s top reasons for choosing cloud computing. Microsoft Azure is a cloud computing service. The scale capability and global network of world-class Microsoft data centres gives you the freedom to build, manage and deploy services and applications without having to build your own physical infrastructure. The environment covers the vast majority of the standard tools and frameworks allowing you to work with whichever of these you are most comfortable or familiar with. Azure provides the HyperLaw software with access to their storage and applications to deliver class-leading case preparation software to legal professionals. So why did we choose Microsoft Azure as our deployment platform for the Cloud? We have always been Microsoft solution developers, so the Microsoft platform was always going to be our go-to for solutions development. In the technology market, Microsoft is a well-respected trustworthy brand and given we have always relied on Microsoft applications, Azure was always going to be our preferred supplier for the deployment platform but that didn’t mean we didn’t do some due diligence on other providers before we made our decision. Our requirements are not untypical of solution developers who want to develop and deploy cloud solutions; we needed a secure, robust, scalable and cost-effective environment to develop, test and deploy a web application along with sophisticated document search technologies. Microsoft Azure is constantly advancing their security offerings, adding new certifications all of the time and always providing new tools and features to make sure your applications are secure, hence why Azure to this day is one of the world’s most trusted cloud service providers. 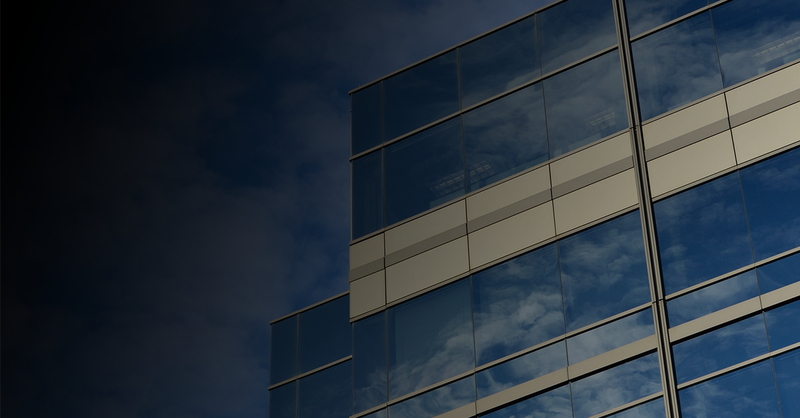 The security built-in to Azure was a huge factor in our decision-making process alongside knowing all customer data would be stored in a state-of-the-art data centre, which is no wonder why 90% of Fortune 500 companies and the Law Society of England and Wales trust running their business on Azure’s cloud. If you take into consideration our product HyperLaw, Azure enables us to ensure full 256-bit AES encryption on everything from communication to storage with features like encryption at rest for all storage and databases. This simple feature provides our customers with the confidence in knowing that we safeguard their data and that we take great pride in ensuring appropriate technical measures are in place. ‘When they get there, why do they do something a particular way the majority of the time and how can we improve on that’. It’s all about improving how our customers use HyperLaw and interact with the software. If we can simplify the product to make it more effective then that’s what we will do, but there has to be a strong business case for it and with Application Insights, you get just that.